Polished nickel decanter with ice server. 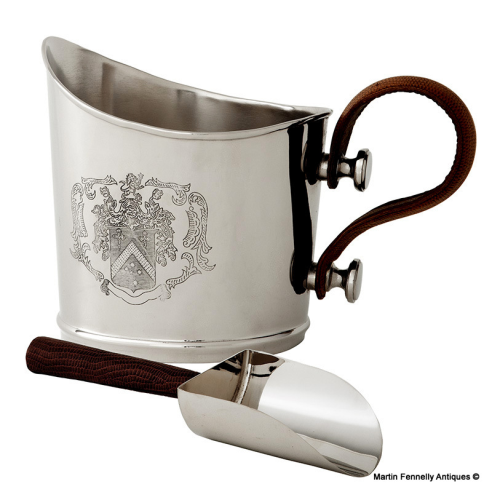 Serve your guests in style with this classically shaped decanter and ice scoop. Decorated with a wooden handle and an etched regal coat of arms this decanter is luxuriously presented in an opulent polished nickel finish. Deep mocha wooden handles complete the look beautifully.